Welcome to the first Marvel Muster of 2019! Let’s take a look back at the last couple months of 2018, and forward to see some of what Marvel has planned for 2019. 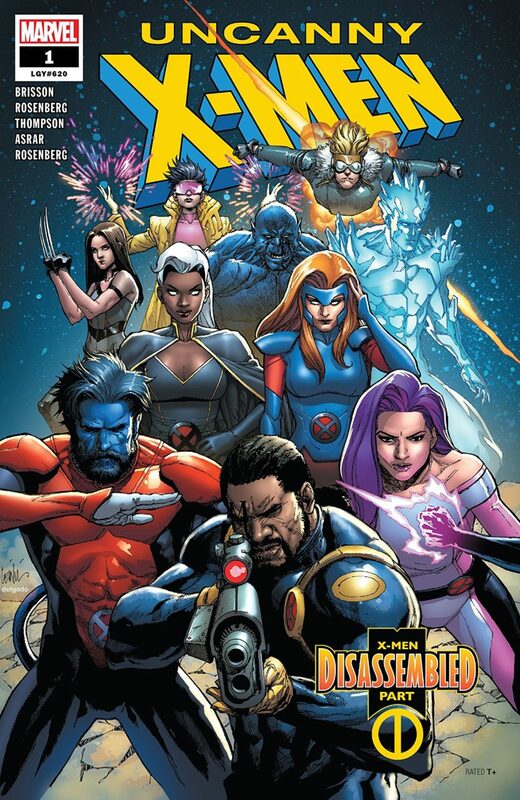 The big story in November was the return of the Uncanny X-Men. 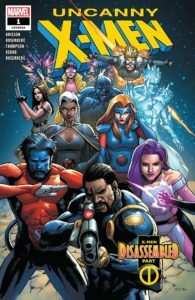 Starting with a big ten-part storyline coming out weekly, the new Uncanny X-Men series marks the return of the title to prominence as the flagship X-Men book for the first time since the X-Men splintered into multiple competing teams following the Schism between Wolverine and Cyclops in 2011. November and December also brought the landmark 700th issue (according to legacy numbering) of the Avengers, a Fantastic wedding forty-five years in the making, the (mostly-metaphorical) death of Daredevil, and the final issues of four different big crossover event series. 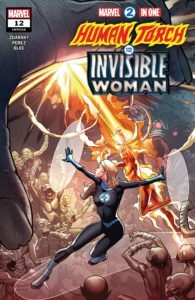 Marvel debuted five new ongoing series at the end of 2018, two in November and three in December. They pulled out all the stops for their new Uncanny X-Men series. 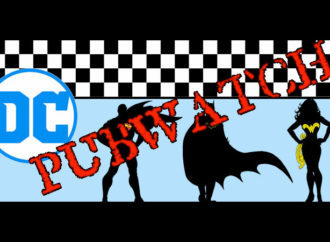 Co-written by Ed Brisson, Matthew Rosenberg, and Kelly Thompson, with art from Mahmud Asrar, Pere Pérez, R. B. Silva, and Yildiray Cinar, the first seven issues were released weekly in November and December. Unfortunately, three writers and four main artists does not a quality narrative make, and the results are a beautifully drawn but incomprehensible and over-stuffed mess. Marvel have brought another flagship X-title back to basics as well. In X-Force, Ed Brisson, Dylan Burnett and Juanan Ramírez’s reunite Cable’s original students, now on the hunt to find out exactly why the alternate universe “Kid Cable” killed their mentor in Extermination. But it’s not only the old guard getting new series, newer titles are getting revamped as well. 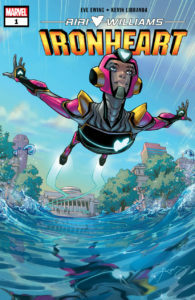 RiRi Williams is back in the air—and back at M.I.T.—in Ironheart by Eve Ewing, Kevin Libranda, and Luciano Vecchio. 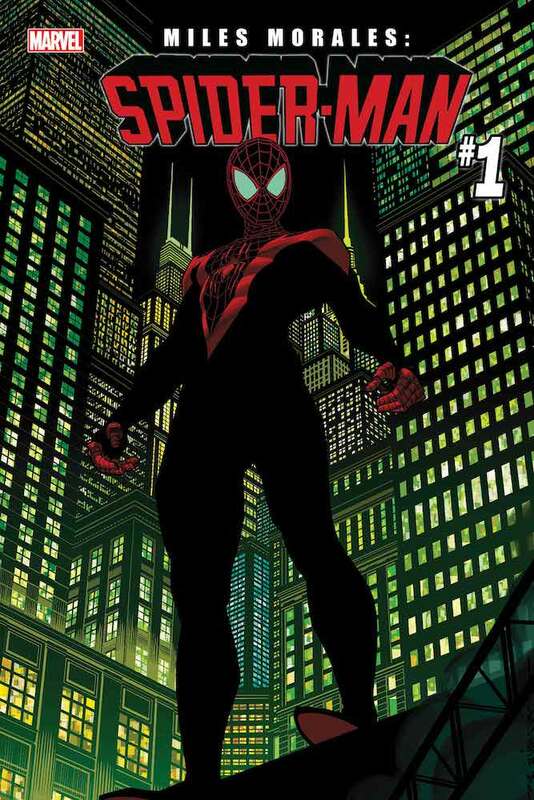 Saladin Ahmed and Javier Garrón are offering a fresh take on Miles Morales in Miles Morales: Spider-Man. And in the aftermath of Spider-Geddon, Otto Octavius, the former Doctor Octopus, has once again taken on the mantle of The Superior Spider-Man in a new ongoing by Christos Gage and Mike Hawthorne. 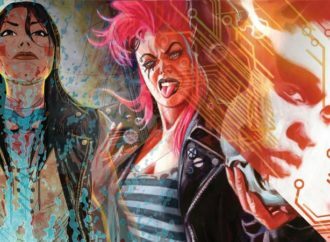 For your shorter-scale tastes, Marvel had nine new mini-series in November and December, offering a little bit of something for just about everyone. Infinity Wars wound down with two last two-part series, the final Infinity Warps mashup Infinity Wars: Ghost Panther by Jed Mackay and Jefte Palo, and the Infinity Wars: Infinity Warps anthology featuring stories such as “Moon Squirrel and Tippysaur” by Ryan North and Natacha Buchos, “Green Widow” by Mariko Tamaki and Francisco Herrera, “Foreverbush Man” by Jim Zub and Scott Koblish, and “The Punisher Pack” by Cullen Bunn and Garry Brown. Matthew Rosenberg is serving as “showrunner” for Marvel Knights 20th. A six-issue celebration of the anniversary of the seminal imprint, Marvel Knights 20th came out weekly from late-November to the beginning of January, and was written by Rosenberg, Vita Ayala, Donny Cates, and Tini Howard, with art by Joshua Cassara, Damian Couceiro, Travel Foreman, Niko Henrichon, and Kim Jacinto. 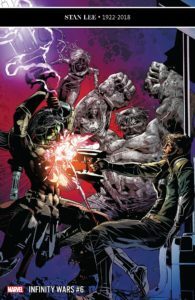 For lovers of more villainous characters, Bryan Edward Hill and Juan Ferreyra explore the backstory of the breakout Black Panther villain in Killmonger, and Thanos’s most-feared warrior disciples take center stage in Black Order by Derek Landy and Philip Tan. Another fan-favourite character, Bucky Barnes gets a new mini-series and a new purpose helping small-time bad guys who want to go straight in Winter Soldier. And now that the original version of Wolverine has returned, the ever-popular Old Man Logan is dying, but he has one last sin to atone for, as he sets off with the help of Hawkeye to hunt Mysterio in Ed Brisson and Mike Henderson’s Dead Man Logan. Elsewhere, Robbie Thompson and Leonard Kirk explore the backstory of the most infamous scoundrel in a galaxy far, far away in Star Wars: Han Solo – Imperial Cadet. And Will Corona Pilgrim and Paco Diaz start the countdown to the end of an era in the Marvel Cinematic Universe with Marvel’s Avengers: Endgame Prelude. Making room for yet more new series coming in January, Marvel ended seven series in November and December. 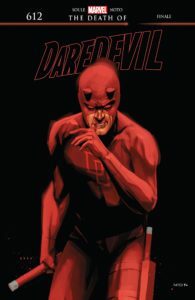 The two biggest endings were the conclusion to Charles Soule run on Daredevil, with the final arc, “The Death of Daredevil” drawn by Phil Noto, and the end of Soule and Giuseppe Camuncoli’s Darth Vader ongoing after twenty-five issues. Daredevil will be back in February in a new series from Chip Zdarsky and Marco Checcetto, and Darth Vader will be back in March in the Star Wars: Vader – Dark Visions mini-series written by Dennis Hopeless, but Charles Soule, who has been active in all corners of the Marvel Universe of late, seems to be scaling back his involvement significantly. 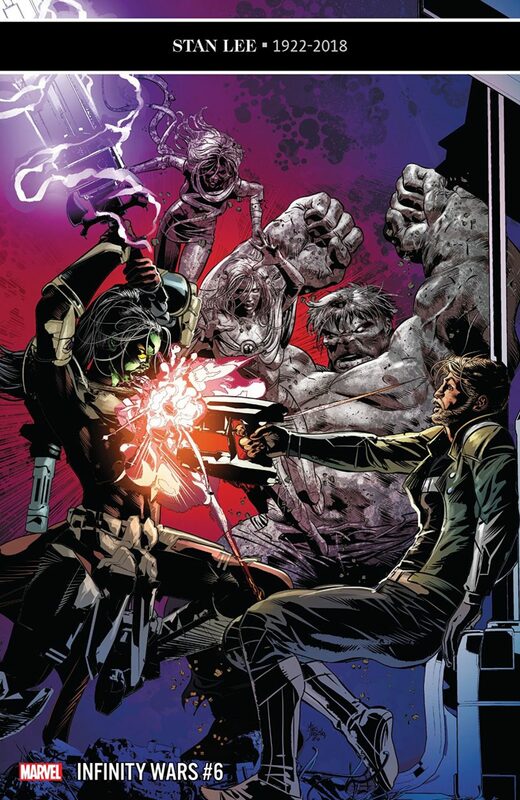 As recently as June he was writing four ongoings (Daredevil, Darth Vader, Star Wars: Poe Dameron, and Astonishing X-Men) and spearheading the much-hyped Return of Wolverine, but by March his only Marvel writing credit will be as one of the writers in the Marvel Comics Presents anthology. Matthew Rosenberg took over Astonishing X-Men from Soule back in July, but that series came to a conclusion in November as well, after running through fifteen different interior artists in seventeen issues. And in a further reduction of X-Men series, Tom Taylor’s fantastic Jean Grey-starring X-Men Red ended with issue #11 in December. 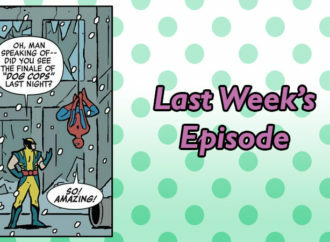 Chip Zdarsky’s last issue of Peter Parker: The Spectacular Spider-Man was September’s #310, and the series didn’t live much longer, ending in December after a three-part Spider-Geddon tie-in story by Sean Ryan and Juan Frigeri. And with the return of the full Fantastic Four, Chip Zdarsky’s fantastic Marvel 2-In-One came to a conclusion with November’s issue #12. I loved this series a lot, and I’m still bitter Zdarsky isn’t writing the new Fantastic Four ongoing, but my inner copy-editor will be thrilled never to have to type “2-In-One” again. 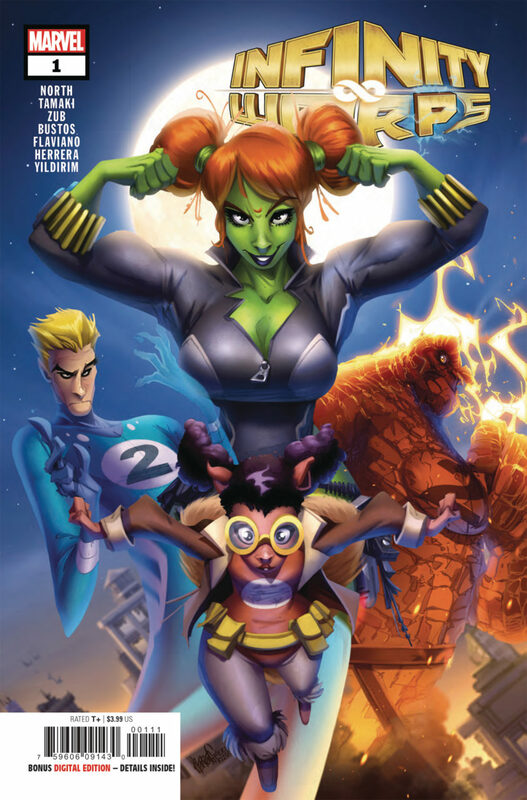 And finally, the first volume of Champions ended in December with Champions #27 by Jim Zub and Max Dunbar, but the teenage super-team are already back in January’s Champions #1 by Zub and Steven Cummings. The “Death of Daredevil” has come and gone, but Daredevil isn’t going anywhere. The end of Charles Soule’s run finds the Man Without Fear lying in hospital grievously injured after being hit by a truck, but apparently still alive. Also, it reveals that the last four issues of the comic, the entire “Death of Daredevil” arc, were all a fever-dream. Wilson Fisk is still mayor of New York City, Matt hasn’t recovered from his accident or reunited with Elektra, and his “twin brother” Mike Murdock is still running around New York. Basically, Matt didn’t die, and Soule didn’t actually wrap up any of the loose ends from his run. It can be frustrating when a character reverts to status quo right before a new writer comes in, but leaving entire fairly significant plot threads just hanging around isn’t actually any better. Chip Zdarsky and Marco Checchetto will be offering their take on Matt Murdock come February, but at this point it’s entirely unclear whether theirs will be a genuinely new Daredevil story, or just a continuation of what’s come before. 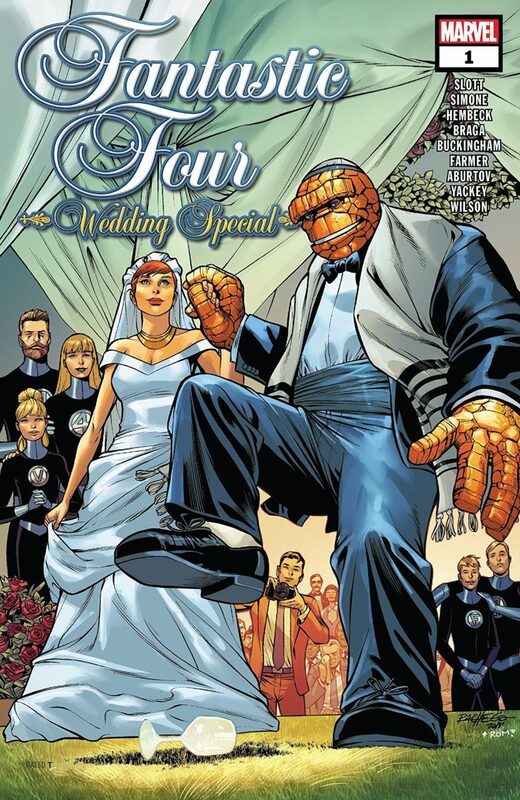 For one brief, shining moment, there are no big ongoing event series coming out from Marvel. Death of the Inhumans has ended. The majority of the Inhumans are indeed apparently dead, although most of the core Royal Family are alive still, and they didn’t actually kill off Lockjaw. Extermination has ended. The Cable we know is dead, and a younger alternate-universe version of him is running around instead. The time-displaced young X-Men are back in the past without any memories of their time in the future. And this queer reader is seriously pissed off about the decision to essentially force the young Bobby Drake back into the closet, very much against his will. Infinity Wars has ended. Everything’s been put back to rights and almost everyone isn’t dead. The “Infinity Warps” universe is stuck in a bubble so Marvel can play with it later if they want to. And it was very anticlimactic all around. 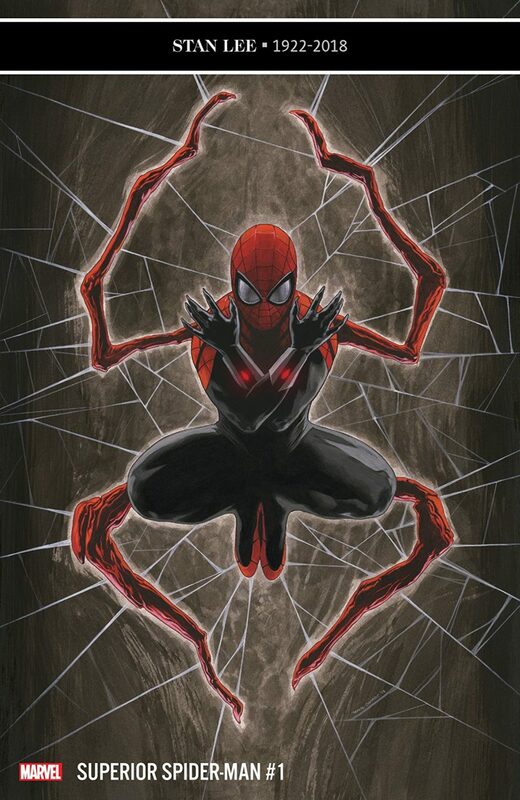 Spider-Geddon has ended. Ben Reilly, the Scarlet Spider, is dead. Otto Octavius is trying to be the heroic Superior Spider-Man again. Miles Morales got to briefly be Captain Universe. The Inheritors continue to be a spectacularly incomprehensible bunch of villains. And everyone got to go home. But don’t get your hopes up, it’s already spring Event Series time! The next X-Men event, Age of X-Man, starts with Age of X-Man Alpha #1 on January 30th, and the War of the Realms expands from the pages of Thor into Midgard in its own Event series in April. 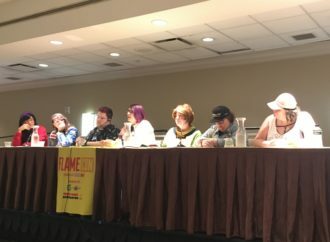 After five years and sixty issues, G. Willow Wilson is saying goodbye to Kamala Khan. Wilson has done amazing work and Ms. Marvel has been a phenomenal book month after month, but it’s felt for a little while like Wilson was running out of stories about Kamala she wanted to tell. When Kamala returns in March it will be with a new creative team of Saladin Ahmed and Minkyu Jung, and a new descriptive adjective in the best Marvel tradition. 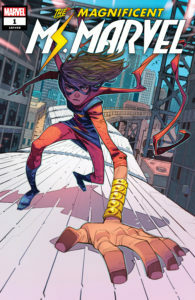 No longer just Ms. Marvel, she’s now The Magnificent Ms. Marvel, and I’m looking forward to seeing what her future holds. 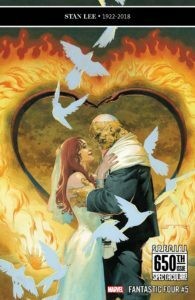 Fantastic Four: Wedding Special #1 – Cover by Carlos Pacheco and Romulo Fajardo, Jr.
Forty-five years after they first started dating, the Fantastic Four’s Ben Grimm and Alicia Masters have finally tied the knot. No, really, this wedding actually happened just like it was promised. They dated other people. 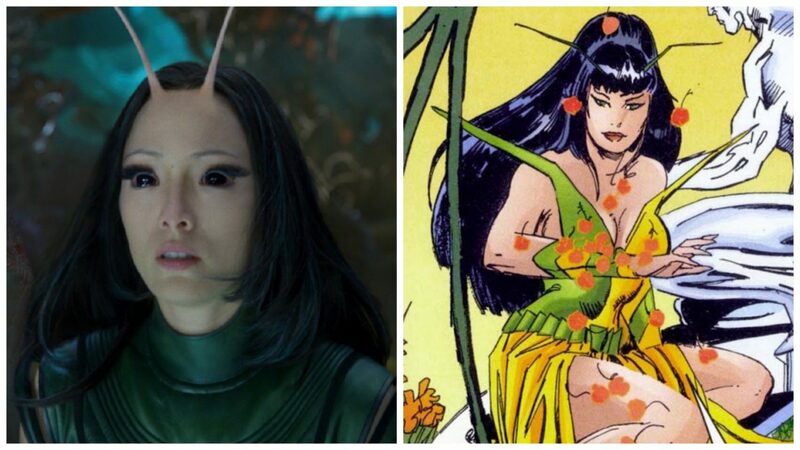 She was replaced by a Skrull who fell in love with and married Johnny Storm. He died and then came back to life. She palled around the galaxy with the Silver Surfer for a while. But their stories always seemed to circle back to each other. Well, that is certainly a thing that I read. I think. It’s been about a month since I first read it, and before I reread it to write this review I’m not sure I could have told you a single thing that happened in this issue. Considering that this is the highly vaunted relaunch of Marvel’s flagship X-Men book, that’s really not a good sign. The problem is that this book makes no sense. Brisson and Rosenberg and Thompson are trying to juggle too many characters, too many storylines, and too many mysteries. Instead of a single narrative, this is an incoherent jumble of disconnected scenes. There seems to be no rhyme or reason to which characters appear in which scenes and the characters themselves are mostly broadly-sketched caricatures lacking in nuance and depth. In particular the student team of Glob and Pixie and Armor and Anole and Oya and Rockslide seem to have regressed about five years in terms of personalities and experiences. Mahmud Asrar’s art in the main story does not make the narrative any easier to follow. The fight scenes are jumbled and chaotic, and the characters are at times remarkably difficult to tell apart. Almost all the female characters have the same faces and the same approximately three facial expressions. I often find Asrar’s characters stiff and wooden in their body language and movements, but he’s usually better at faces than this. 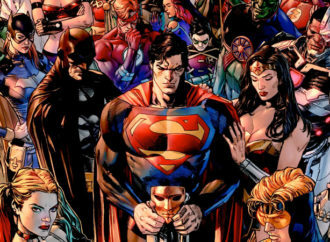 This issue also includes three back-up stories following different characters in the days leading up to the events of the main story. In an ideal world these stories would add some context to what came before and maybe offer some hints at where the story is headed, but in this one they just seem to be there to pile on even more disconnected storylines and mysterious new characters, as if the main story didn’t already contain too many of both. That said, Ibraim Roberson’s art on “Part Two: A Jean Grey Story” is gorgeous. His Jean Grey carries herself with a confidence and maturity that really comes across on the page and there’s nothing stiff or wooden about her or any of the other characters. 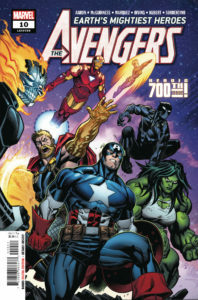 I haven’t been keeping up with this series, but big heavily-hyped landmark issues (the cover proclaims this the “heroic 700th issue!” of Avengers) always make for interesting reading, and they’re a good way to get a sneak peak at what the next several months of storylines are going to be in the big books. Still, I honestly did not expect to enjoy this issue as much as I did. Objectively, there are about five plot points too many shoved in here, and several of them are ones I’m extremely dubious about—Namor is now a villain! the return of the Squadron Supreme!—yet it’s all so witty and well-characterized I found myself charmed enough to add this to my subscription list so I can see where the story goes. Jason Aaron has a great skill for portraying both the humanity and the absurdity of larger-than-life comics characters—it’s why he writes the Asgardians so well in Thor—and between the Avengers, the newly-reformed Russian super-team the Winter Guard, Namor’s Defenders of the Deep, and an entertaining appearance by Odin, he has plenty of larger-than-life characters to work with here. The art by David Marquez and Ed McGuinness is as classic and mainstream as it comes, but that’s not a criticism. Their sharp lines and well-designed layouts make the fight scenes easy to follow and keep the large cast from becoming confusing. My favourite part of this issue, though, is the delightful extended epilogue drawn and colored by Fraser Irving, in which a rather drunk Odin All-Father shows up and tries to pick a fight with, and then strikes up a kind of friendship with, a very, very confused Robbie Reyes Ghost Rider. I won’t pretend there aren’t parts of this issue that are rather hokey and clichéd. But dammit, if I’m reading about the marriage of two characters who first met in 1963, I expect—no, I demand—it be a bit hokey and clichéd. The two stories-within-the-story are definitely the best parts of this issue, serving as a quick primer on Ben and Alicia’s history together as seen through the prism of his relationships with the other members of the Fantastic Four. Laura and Michael Allred’s distinctive art style elevates the rather simplistic and stereotypical flashback to Sue Storm’s efforts to help Ben and Alicia’s burgeoning relationship develop. And Adam Hughes gets all the details of the over-the-top bachelor party thrown by Johnny Storm perfectly right. The wedding itself, as drawn by Aaron Kuder and beautifully colored by Marte Gracia and Erick Arciniega is shamelessly sentimental and open-hearted, and yes, kind of hokey, embracing the earnestness of the early Fantastic Four stories with no hint of cynicism or ironic detachment. A fairy tale through and through. Also, yes, the Stan Lee tribute bar made me emotional on every cover it was on, but especially on this issue it kind of wrecked me. I have been eagerly awaiting Riri Williams’s new solo book, her first under her own name, and this issue absolutely does not disappoint. Eve L. Ewing has an awareness and understanding of Riri’s life and community that provides a level of nuance and depth to her characterization that Brian Michael Bendis was never able to achieve. The actual issue does all the things a first issue is supposed to do, but it does them better than many first-time comics writers manage. 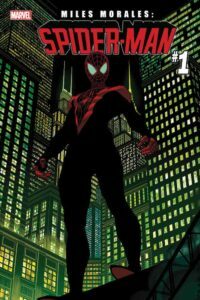 It highlights the important parts of Riri’s backstory for new readers (of which this book has many), lays out what her life currently looks like, introduces her power set and her supporting cast, and sets up an internal and an external conflict to be explored in future issues. Luciano Vecchio and Kevin Librando’s art is beautiful and only made moreso by Matt Milla’s color work. The action scenes are dynamic and easy to follow, but it’s when Riri’s out of her costume that Vecchio and Librando really shine. Riri’s face and body language are expressive and natural and oh-so-teenage, and her lab feels wonderfully lived in and real. Another strong debut issue. Ahmed’s writing can be a bit clunky and heavy-handed at times, and I’m not fond of his choice to have Miles narrate his backstory and power set in the form of a journal entry right at the beginning, rather than revealing it more organically throughout the issue. But overall I feel like he really gets Miles and his world, especially his school which Ahmed is really integrating into the narrative, in contrast to Brian Michael Bendis’s tendency to use it as a plot McGuffin when needed, without ever really fleshing it out as an interesting location in its own right. The high point of this issue, though, is definitely Javier Garrón and David Curiel’s art, which is modern and character-focused, with a level attention paid to the nuances of clothing and hairstyles that reminds me of Kris Anka or Jamie McKelvie. There’s so much character development that can come out of how a character presents themself out of costume that many artists fail to take full advantage of. 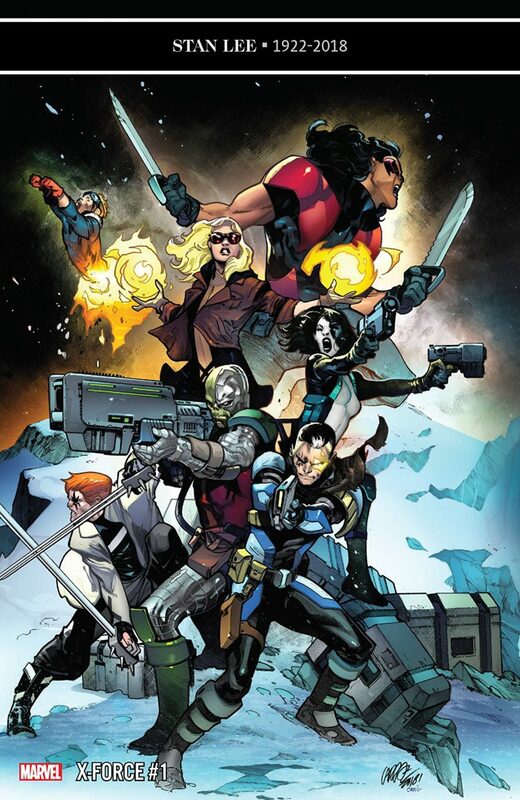 The New Mutants and then the original X-Force cast have always been, and always will be the comics team of my heart, but X-Force in particular are very much rooted in a specific era of comics, so I was decidedly nervous about this book. Overall I’d call it a mixed bag. Ed Brisson seems to have a pretty good handle on some of the characters and their relationships, especially Domino, Boom Boom, and the young “Kid Cable,” who I already kind of love. But he doesn’t seem yet to entirely know what to do with the rest of his cast. Sam Guthrie spends most of his time standing around looking somewhat gormless, and James Proudstar and Shatterstar seem to mostly be there to flesh out fight scenes and stand around looking menacing and uttering the occasional threat. None of which is helped along by Dylan Burnett’s art, which I did not like at all. All the characters look incredibly dour and serious at all times, with strangely elongated faces and perpetually-downturned mouths. I’m not sure anyone smiles even once in the entire main story. The backup story starring Boom Boom, which has quite good art from Juanan Ramírez, shows that Brisson is clearly capable of writing characters with more than one emotion, but you’d never guess it from the main story, in which no one seems capable of being anything other than perpetually grim. I love the characters enough to give this one more issue, but I’m of the firm opinion that life’s too short to spend it looking at art I hate, so I’m thinking this book just isn’t for me at all. Oh, Bucky Barnes. I’m a big fan of the Winter Soldier, but since the end of Ed Brubaker’s run on Captain America, nobody at Marvel has seemed to have any idea what to do with him. 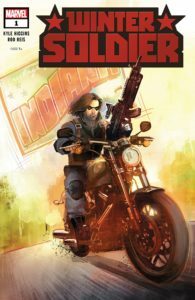 He was a character desperately in need of a status quo change to make him interesting again, and Kyle Higgins might just have found a good one in this story of Bucky Barnes’s informal witness protection program for low-level criminals looking for a fresh start. It’s a bare-bones operation. Based out of a sparsely-furnished rural farmhouse in Indiana, Bucky has his motorcycle, his guns, a yoga mat, a cat, the behind-the-scenes assistance of Sharon Carter and Tony Stark, and a mission. And really that’s all he needs. Higgins’s characterizations are solid and the plot definitely has potential, but Reis’s art is somewhat uneven. He’s stronger in the domestic scenes with Sharon and Tony than in the fight scenes and flashbacks, in which he leans heavily on a blue and red color scheme that can be muddy and washed out, and makes the line work feel static and staged. Still, it’s a promising debut issue with a great last page, and I’m looking forward to seeing where Bucky’s story goes from here.